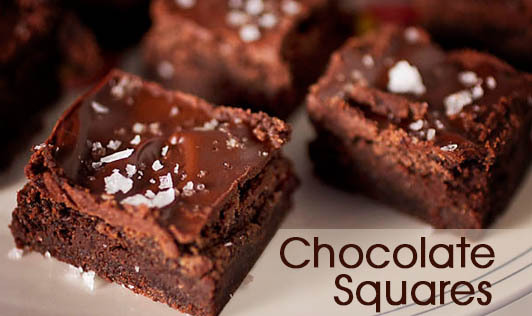 Chocolate squares are made from crushed biscuits and thick chocolates. You can get creative with this recipe by adding some dry fruits and seasonal fruits to it. 1. Crush all the biscuits and mix the essence with it. Add raisins. 2. Heat the cream on a very low flame and add the chocolate pieces to it. 3. Add crushed biscuits and blend it to a soft mixture. 4. Pour it into a greased container and allow it to cool for 10 minutes. 5. Keep in the freezer for 10 minutes to set the mixture. 6. De-mould it to a plate and apply chocolate sauce over it and spread. Cut it into small squares and store it in an air tight container. This can also be a good dessert option for your eleventh hour guest!